Located northwards of Tiberias in the Upper Galilee, the city is hailed as the center of Kabbalah and offers much to its thousands of annual visitors in terms of ancient sites, spiritual teachings and sprawling nature. Whilst living in Israel, I have heard much chatter of Safed’s holiness, and, like many others, have grown intrigued as to its supposed spiritual offerings. The study of Kabbalah (meaning “receiving”) seeks to explain the relationship amongst the branches of our lives – health, relationships, careers and so on – in other words, the mortal universe and its connection to the infinite world. Kabbalah, not to be confused as a religion in itself, is a study pertaining to written records from over 5,000 years ago as outlined in “The Book of Formation,” a journey in the discovery of Jewish esotericism. Further enlightenment can be found in “The Zohar” (translated to “the radiance,”) which details revelations from Rabbi Shimon Bar Yochai, who devoted years deciphering stories and mystical attributes of Judaism. For centuries, the secrets of Kabbalah, believed to be shrouded in complexity, were hidden, only to be revealed 700 years ago. Its principles were initially available to an exclusive club of scholarly, married Jewish men over the age of 40, and it wasn’t until 1969 that its teachings were exposed to the masses. In recent years, Kabbalah has become a trend among celebrities, more notably Madonna, Mick Jagger and Elizabeth Taylor, who, intentionally or not, have helped spread its message and meaning to a wider audience. With an open mind and a curiosity to uncover more, I traveled to Safed where I spent two days delving deeper into Kabbalah’s practise, principles and ancient wisdom. 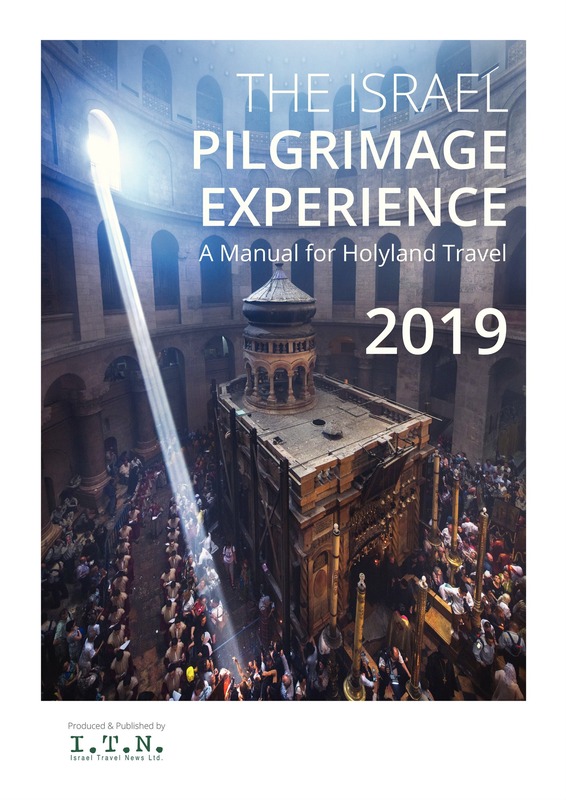 As well as exploring Kabbalistic sites, the purpose of this spotlight is to report on both popular and “off the beaten path” sites scattered across Safed and outside its boundaries, all in all, detailing a wealth of spiritual discovery achievable from a two day trip. Lining Ben Yosef St. and the surrounding paved stone streets in the ancient Jewish quarter, is a collection of artists who together present a diverse tapestry of works. The founding members of the Artists’ Colony, originally drawn to Safed for its mysticism, formed a collective in the 1950’s, and the quarter is now seen as more of a productive hub for Jewish-themed art. Private galleries and open workshops present a creative display of paintings, silverwear, glassworks, pottery, jewelry and Kabbalistic Judaica. On visiting the Olive Tree Gallery, I was welcomed with a stunning display of artwork and sculptures representative of local Safed and Israeli artists. Previously a central market in the city, the gallery was founded in 2005 by artist Avi Sade and today offers exhibitions throughout the studio. The collections are a blend of intense tones and shapes amongst softer palettes and striking silhouettes, with pieces to suit many tastes. Not far from the gallery, the General Exhibition displays original works from over 50 members of the artists’ colony and includes a reserved section to commemorate the works of colony artists who have passed away. The site, open daily, is housed within “Market Mosque,” named so for its location within the weekly market square, which dates back to 1902. The artwork within the main hall changes twice annually, with smaller halls displaying a rotation of works and exhibitions on an ongoing basis. I wandered around the airy hall, appreciating each painting, sculpture and display for its individual uniqueness. Of particular intrigue was the “Shoes Exhibition” – a display of paintings and works by eight artists. Despite the reasonable price tag accompanying each work, I convinced myself I have enough shoes already. Dating back to the 16th century, the Ari Ashkenazi Synagogue is one of the oldest functioning prayer houses in Israel, and despite its name, the Hasidic and Sephardic communities worship there. “Many synagogues are multi-purpose, used for events, a place to celebrate, eat and even sleep. This is not the case at the Ari Synagogue, it is used only for prayer,” explains Lawrence Tendler, manager of the synagogue. Located in the Old City and built in memory of Rabbi Isaac Luria (the Ari), a respected Kabbalist who passed away in 1572, the synagogue crumbled during the 1837 earthquake and was rebuilt two decades later. The interior is an intimate space – its olive wood furnishings reflecting the style of Eastern European synagogues. The story goes that Rabbi Isaac Luria, garbed in white robes, would walk amongst the fields, singing with his disciples to welcome in the Sabbath, a tradition now referred to as the “Kabbalat Shabbat” service and practised by Jewish people globally. Tendler also explains the roots of spirituality across Israel, the “Four Holy Centers”, as he describes them, each corresponding to the four elements of nature. “Jerusalem, the city of gold is fire; Hebron, the burial site and caves of the forefathers, is earth; Tiberias, located on the lake, is water; Safed is air, the Hebrew word for which is ‘Ruach’ meaning wind.” After departing the synagogue, I take a moment to breathe in the crisp air, its spiritual energy now more palpable. 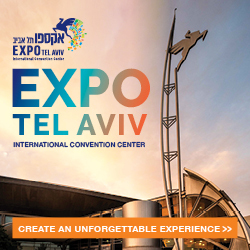 Non-profit organization Livnot was established in 1980 to facilitate young Jewish adults by offering them opportunities to discover their Jewish heritage through a diversity of programs, including hands-on experiences, seminars, workshops and hikes. The Livnot campus in the Old City provides accommodation within a 16th century building featuring stone arches and domed ceilings which have been excavated and restored by participants. “Our programs run up to five months, and we are especially popular among Birthright groups that wish to extend their stay in Israel and take part in volunteer work,” says one of the program coordinators. Livnot’s visitor center is located next to the campus, which was set up with sponsorship from the program Partership2Gether (formerly known as Partnership 2000) of Palm Beach, Florida, Safed’s twin city. The center was established to provide tourist information, in a bid to enhance the visitor’s tour experience, and also houses an underground excavation site permitting visitors a glimpse at what was once a 16th century street in Safed. The tunnels were deserted and therefore slightly eerie, and upon exploring them I was instantly presented with a snapshot of life hundreds of years ago. Discoveries from the big Safed earthquake of 1837 are being unearthed to this very day, with many sites around Safed in reconstruction in a bid to wind back time and preserve the authentic essence of the city. At the lower entrance is a large 500 year old “Mikvah” (a ritual immersion bath used in the Jewish religion) rumored to have a connection to the Ari (Rabbi Isaac Luria). Down a set of stairs is the main gathering space, where a 500-year-old oven is housed and still functions to bake challah bread during workshops. “We also offer candle making, music, Kabbalah workshops and meditation led by an expert in the field.” Outside one of the structure’s walls lies stacks of unearthed trinkets and pottery – 16th century treasures huddled amongst artifacts from more recent eras, the wind having carried them across the city. The rooftop view is splendid and far reaching onto a stretch of Mount Meron and the outline of villages that intersperse the range. The intended purpose is to establish separate spaces within the premises, in which to host individual workshops and expand Livnot’s educational tourism offerings, I am told. Group and individual tours can be pre-booked in the visitors’ center. 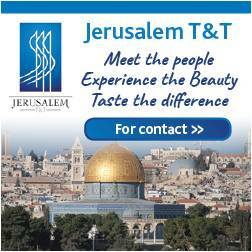 While currently offered in English and Hebrew, tours in other languages are available upon special request. Ruth Rimonim, a part of the Rimonim Hotels & Resorts Chain, has a charming history dating back to the 17th century, when it operated as a Turkish khan. Mamluk Sultan Baybars, laden with silks, perfumes, hampers of fruit and plenty of other goods, would arrive at the khan, in a section of which the hotel’s dining room is located today. Travelers would unloads their goods and feed their horses, mules, donkeys and camels before camping out on sacks in the dark of night. Even today, the stone rings to which animals were attached rest along the walls and remnants of a perfume market on the khan’s grounds can be found within the hotel’s olive orchard gardens. The hotel is an ideal walking distance from many of Safed’s must-see sites, a five-to-ten-minute dander at my pace, to the entrance of the Artists’ Quarter. Ruth Rimonim consists of two buildings – the authentic building, which offers rooms designed within original structures, and the “Rimon Wing,” a separate newer building that contains further rooms, a gym, spa, lobby lounge and balcony terrace with far-reaching views of Mount Meron and the mountains beyond – quite the spectacle at sunset! My room, located within the original building, is set amongst a maze of cobbled paths, quaint courtyards and grassy terrains, some of which feature swinging hammocks. The peace of the vicinity is interrupted only by the melodic chirp of birds – it’s quite the contrast to the bustle of Tel Aviv. My family-size room, (spacious to say the least! ), is encased within striking brick that enhances its authentic character, with the bathroom mosaic tiling a beautiful addition. The interiors of the room perfectly reflect the nature that lies just outside my door and beyond. Large glass in the dining room offer clear views of the Upper Galilee – a relaxing accompaniment to breakfast. The expansive Israeli buffet breakfast featured hot egg and pasta dishes; a tailor-made omelet station; a health corner of cereals and a medley of toppings; a cheese and fish counter and a selection of morning pastries, and of course a selection of freshly chopped salads and breads that filled me up for a day of sightseeing. Dinner was an equally impressive spread – colorful salads, succulent roasted vegetable dishes and sweet potatoes – which I tucked right into, as well as soups, fish and meat options and a table of desserts, including individually sized chocolate cakes. Ruth Rimonim is a special and a distinctive landmark within a sublime milieu. All in all, an idyllic setting to kick off your shoes at night and reflect upon the spiritual encounters of the day. Rabbi Eyal Reiss, Director of the Kabbalah Center in Safed, has been a resident of the city for 25 years. He was born in Tel Aviv where he spent his childhood and younger adult years, before embracing a spiritual lifestyle and moving north to begin his career in the field of professional tourism. “Even after two and a half decades, my connection to Kabbalah remains just as strong as when I first arrived,” he tells me on the car ride to the first “power site” on our itinerary, a phrase that refers to a place of spiritual practice and connection. There is a Kabbalistic concept called the “three garments of the soul” – your thoughts, words and actions. “By hosting positive thoughts, you are a vessel for light to come in. I encourage you to apply this as you enter the tomb – think of positive change, outwardly express it and put your thoughts into action,” Reiss says to me. Two elderly men are deep in prayer by the tomb as I enter, and despite the starkness of the enclosure itself, the space feels full of hope and energy, which I cling to for the remainder of the tour, and still at present, for that matter. The descending slopes, contrasting tones and abundance of oxygenating pine trees within the Biriya Forest are a sight to behold. Established in 1945, the forest, which previously functioned as a Galilean settlement, is now owned by the Jewish National Fund and is the largest planted woodland within the Galilee region. Intertwined with groves, springs, holy tombs, an ancient synagogue, hiking and horseback riding trails, its concaves and lookouts are a cornucopia among the pursuit of mystical discovery. Located at the peak of a winding road within the forest is Mount Yavnit, site of the tomb of Rabbi Abbaye and Rabbi Rava — famous for their debates and conversations, which are said to have contributed significantly to the Babylonian Talmud. The tomb sits 900 meters above sea level, on one of the mountain’s highest lookouts, where the air is crisp and the sky’s reflection upon the Hula Valley is a sight to behold. A snowcapped Mount Hermon comes into view from far beyond, and the moment is cherished with a few snaps from our cameras. The lushness of forestry, set amongst sprinkles of blue and earthy hues, is nature at its purest and a fitting connection to spiritual wellbeing. “The tomb is a very special power site in the Upper Galilee, and many people come here especially for meditation.” A bright blue dome rests on top of the tomb – not the first or last one I would see that day. “Blue is said to signify parallels between the heavens and earth, and the dome represents this symmetry and also serves as a reminder of our life purpose to live spiritually,” explains Reiss. A canopied set of stairs leads to the entrance of the cave that houses the tombs. The obscuring darkness is interrupted, just slightly, by the flickering flame of a memorial candle stationed at the farthest wall. In stark contrast to the scenery outside the cave’s enclosure, the air holds a heaviness and a spiritual essence that encircles the space around me. Buried deep within Biriya Forest lies the remains of an ancient synagogue from the first and second temple periods. The area, which was desolate following the Galilee earthquake of 363 CE and rebuilt 200 years later, remained in existence until the Byzantine era. Archaeological excavations have now revealed remnants offering a glimpse into its historic past, with further works conducted by the Jewish National Fund (JNF) and the Israel Antiquities Authority. Volunteers have also helped to restore and clean the area to create a viable space for future tours and events. 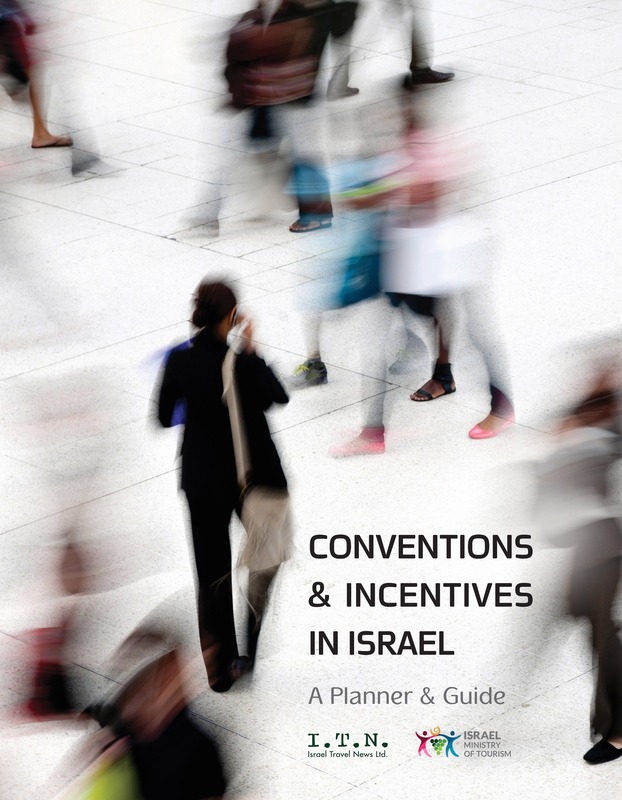 “The site is utilized by the Tzfat Kabbalah Center, which transforms it into unique settings for night meditations and musical performances, under the light of torches and oil chandeliers, and also celebrations such as Bar Mitzvahs, weddings, marriage proposals and renewal of vows. Its history adds a meaningful spiritual dimension to couples and their marital relations,” outlines Reiss. A visual representation of how the synagogue is believed to have looked hangs on a section of restored wall that is surrounded by its uncovered ruins and stubs from its original columns. In the female section of the compound are three women, one whose face is obscured by a prayer book held tightly as she fervently rocks back and forth, her silent words carried around the room by sweeping gusts of wind. On the tomb’s roof is another blue dome, much larger than the one at the tomb of Rabbi Abbaye and Rabbi Rava. It is common practice for visitors to circle the dome counterclockwise seven times, in following a Jewish ritual that is most commonly performed by brides on their wedding day. The number seven is significant in the Jewish religion; it represents the number of times that Joshua and the Jewish people circled the walls of Jericho to bring about the miracle of the wall’s collapse, and also has connotations to love, protection and spirituality. “I know many people who have found a match after praying at Amuka. I believe in its power, it really does work,” stresses Reiss. Some stories even suggest people intentionally leaving a prayer book behind with their contact information inside, in the hope that their intended match will return it to them. 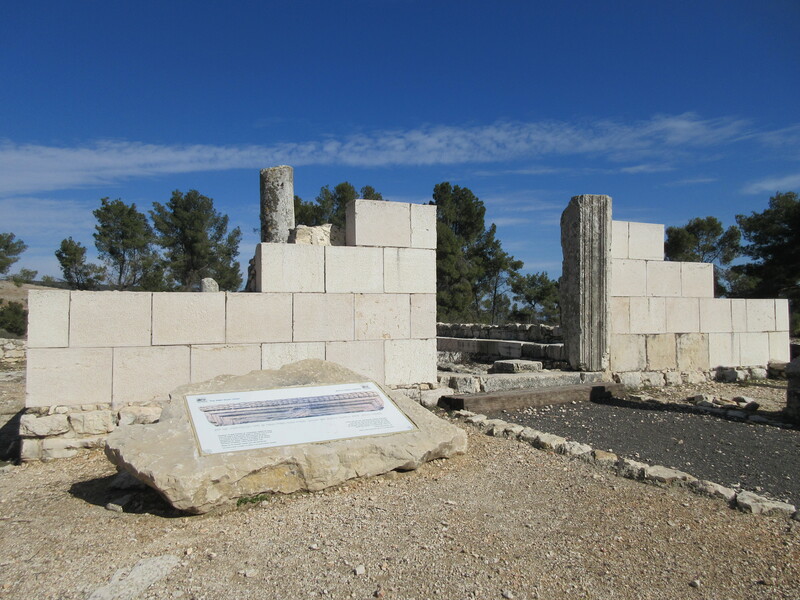 The Citadel Archaeological Park is an important landmark in Safed, located at the entrance to the city. Standing at more than 800 meters above sea level, the hills serve as links to other mountains in the area. Restoration works to the area, which are ongoing, have cleaned up much of its paths and greenery, making it a pleasurable area to hike and admire the birds-eye views of Safed from its peak. Recent excavations have also unearthed ancient ruins, including the remains of a Crusader fortress, one of the biggest in the Middle East, which was built by the Crusaders during their 12th century rule of Safed. Music is a common theme and foundation to many tours, workshops and experiences in Safed, with a renowned host of musicians residing in the city. An annual Klezmer festival takes place in August to celebrate the musical traditions of Ashkenazi Eastern European Jewish people. “The festival unites musicians from around the globe who descend on every space throughout Safed to create amazing sounds that echo beautifully along the streets,” Reiss tells me. The Kabbalah Center of Safed is located in the heart of the Old City and welcomes around 50,000 visitors a year on retreats, seminars and tours. The center is also popular among celebrities including American singer Paula Abdul, who celebrated her Bat Miztvah in Safed in 2013, American actress and singer Vanessa Williams, who planned a trip to the city and most recently Belgian actor and martial artist Jean-Claude Van Damme, who reportedly visited the center in search of spiritual guidance. The center’s team comprises around 25 people who offer tours in many languages, including English, Hebrew, German and Chinese. “The Chinese market is certainly growing for us and we strive to do all that we can to cater to their needs, as we do for all of our groups,” says Reiss. His wife, Nathalie Levy Reiss, originally from Venezuela, works as a spiritual coach and also heads the women’s division of the center. “We host dozens of women tour groups annually from around the world, on special programs designed to empower through spirituality,” she says. “The purpose of the retreats is to open the eyes of many to a wealth of possibilities achievable by connecting your inner strength and essence.” Programs include a “Spa for the Soul” retreat, Jewish-Kabbalistic yoga, challah baking workshops, intimacy and Kabbalah talks. More information on Kabbalah tours and tailored packages can be found at www.spiritualisraeltours.com, www.kabbalah-retreats.com and www.kabbalahtour.com. In a corner of Kikar HaMeginim, a gathering center in Safed, sits Elements Café, a gluten-free vegan haven serving an appetizing repertoire of meals, including raw salads, pizza, lasagna, smoothies, sweet treats and organic coffee. By pure coincidence, or perhaps it was fate, I wandered right up to the establishment – and as a hungry vegan, I was enthralled. I’m immediately greeted by the owner, Zev Padway, who munches on a salad at one of the tables. The American turned Safed native, and raw food enthusiast, opened the café six months ago to much applause. It is already ranked the city’s second top eatery on TripAdvisor. I’m struck by the connection of healthful organic foods and a city renowned for its spiritual efficacy. This turned out to be one of two visits to the café in 24 hours. The crumbly buckwheat crust pizza left me with a hunger for more, including the homemade onion seed crackers with hummus, coconut chocolate “Mitzvah” balls and thickly churned almond butter. The café is quite the blend of a new age trend amid old surroundings – an oxymoron that works. Even the staff present themselves as progressive observant Jewish, a reference to a somewhat hipster sub-culture in the way they dress, speak and act. One of the waiters offers up details of an underground speakeasy that, at certain times of the year, serves up homemade beer, amid music and chatter. These types of initiatives are pioneering a niche wave of Kabbalists who have taken the study’s core values and integrated them into the identity of their everyday lives. A short walk away on Alkabetz St. is the charming Lehuhe Yemenite, a Yemenite café, as the name suggests, emitting irresistible scents that are carried down the street. A station is lined with pans at the ready to flip lachuchs (Yemenite pancakes) that are loaded with roasted vegetables, cheeses, sauces and a melody of spices. As the dish was not vegan-friendly, I sadly did not sample a taste, but was nonetheless impressed by the authenticity of cuisine on display. I asked the chef to introduce a vegan version, providing the perfect excuse for a return trip to Safed, as if I needed one. The Ancient Cemetery is the burial site for many renowned Kabbalist Rabbis and a frequented place for those in search of answers or who wish to sit among the graves of influential figures in the field of Kabbalah. Rabbi Isaac Luria, Rabbi Yosef Caro and Rabbi Moshe Alsheich are buried in the cemetery. The 15th century Abuhav Synagogue, one of the city’s most historic synagogues, was designed to incorporate intricate Kabbalistic symbols within its interior. Named after Rabbi Yitzchak Abuhav, a Spanish rabbi from the period, the synagogue features a southern wall that has survived two earthquakes and many battles, remaining its only original section. It is said to be one of the most famous and breathtaking houses of prayer in Safed. The Mount Meron Nature Reserve was declared an official site in 1965 and serves as the largest and highest nature reserve in the North of Israel. Visitors can hike the perimeter of the mountain to its peak and experience views that look directly onto the Upper Galilee, the Golan Heights and Southern Lebanon. Rare and precious flowers bloom throughout spring, and the site thrives with many plant types and wildlife, and is also an ideal spot for birdwatching. Safed is an ancient city that envelops you within its sandy brick structures, cobblestone streets and inspiring tales of past and present, among a plethora of power sites and some of the most awe-inspiring nature in Israel. From my experience learning about Kabbalah, what resonates most prominently are its teachings, which, on the most basic level, are simple to incorporate into everyday life. With its secrets unveiled to the world, Kabbalah presents ample opportunity to learn about ourselves and the world around us, and to work on developing our beliefs, whatever they may be, to serve us for the better.